Husqvarna Push Mower HU725 – Easy-to-use mower, suitable for larger areas. Equipped with electric start, robust steel cutting deck and ergonomic, soft grip handle. Intuitive handle adjustment controlled from operator position. 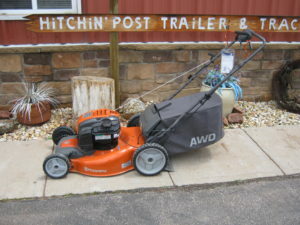 Cutting width 22in., cutting height 1.4-3.6in.AWD electric start and AutoWalk.